Combine eggs, salt, pepper, and milk; stir with a whisk. Heat a 9-inch cast-iron skillet over medium heat. Sauté kale, red onion, and garlic in olive oil until tender. Layer in sausage and bell pepper. Carefully pour egg mixture over sausage and bell pepper. Preheat broiler to high. 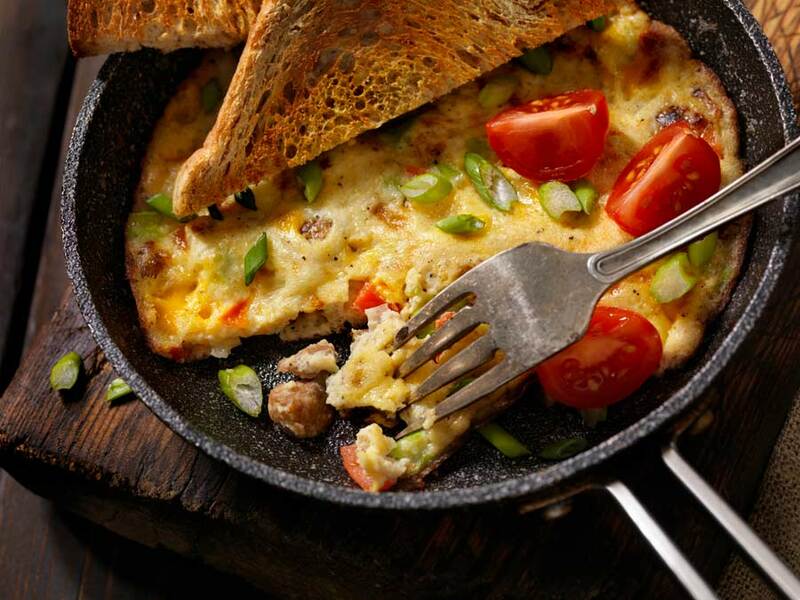 Place tomato slices on top of eggs in a single layer. Cook over medium heat, 5 to 6 minutes, or until eggs are partially set; then broil 5 inches from heat for 2 to 3 minutes or until browned and almost set. Let rest 10 minutes before serving.